We offer a no-nonsense approach to moving home, providing you with a dedicated conveyancing specialist to ensure a smooth process. Buying and selling property isn’t the easiest task, and there are multiple stages to selling or purchasing a house or commercial building – not least the sometimes-dreaded conveyancing. Finding the right lawyer to oversee the process can mean the difference between a long-winded, painful affair, and a sale or purchase that is almost seamless. Enter N Legal’s conveyancing team. With years of experience in property law, we know the conveyancing process inside out. Whether it’s a new office and warehouse for a retailer, or a first home for an expanding family, we take the stress out of any property purchase or sale. If you’re looking for advice, please call 0121 355 8885 during business hours and a solicitor specialising in conveyancing can be on the phone with you in minutes. With such an expensive transaction at stake, it’s essential you have a qualified expert lawyer on hand to ensure your purchase goes without incident, leaving you free to get on with preparing yourself for a move into a new office or home. You can trust N Legal to cover all bases, and quickly too, ensuring that the conveyancing process is completed in good time and you’re in your new property sooner. If you’re interested in N Legal’s conveyancing services, why not call us today to discuss your requirements – we’ll be more than happy to help. At N legal, we like to be transparent, and what you’re quoted is what you’ll pay – we don’t believe in hidden fees. Sadly, there are many firms that don’t promise this. Just because we don’t hide any charges, this doesn’t mean we’re more expensive. Feel free to compare our prices with other local firms. You’ll find we’re competitive, and offer a value-for-money service you won’t find anywhere else. Here at N Legal, we don’t think you should be dealing with half a dozen different staff when it comes to your conveyancing. You’ll be working with a dedicated member of staff from start to finish, making the whole process more streamlined – and when you call us – we’ll ALWAYS know where your case is up to. As qualified, experienced lawyers, we know how important it is for you to know that your transaction is in good hands. 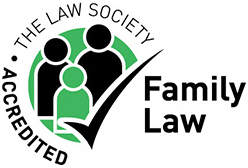 We’re accredited by the law society and can provide details of our extensive experience in this field, giving you peace of mind that we’re more than qualified to handle your conveyancing. 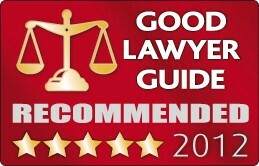 We engaged N-Legal Solicitors on recommendation from a friend. We purchased our new home, and converted our existing property to a buy-to-let mortgage. Andrea Curtis co-ordinated the whole process for us and ensured that the experience was pain free and completed at the earliest opportunity. We were kept informed at every step of the process and everything was explained clearly. N-Legal acted as our one stop shop and delivered a very professional and efficient service. We too will recommend them to our friends and family. I would like to express my personal thanks for the way you kept me in touch with all the developments during my sale. The frinedly and efficient way in which you dealt with my sale is much appreciated, the team was great and Andrea was always on the other end of the phone and will have no hesitation in recommending you to family and friends.